Relationship Resources – Make Love, Make Money, Make It Last! as well as secrets from others who they have interviewed. 30, 40, 50 and even 60 years! How Well Do You Know Your Mate? Download this worksheet to test yourself! What Little Things Do You Like Most About Your Mate? Download this sheet to let them know! 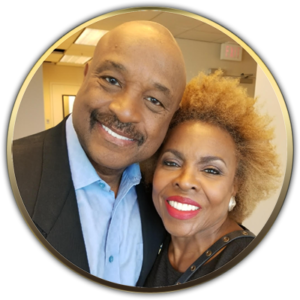 Willie & Dee Jolley answer your relationship questions. Question: How can I repair my marriage, after it has been broken by a different beliefs on religion? Jolley Answer: There are many happy marriages with couples of different religions. The key is respect and communication. We recommend you both read Chapter 4 of our book, Make Love, Make Money, Make It Last! Then complete the exercises at the end of the chapter. Question: My boyfriend age 45, and I age 43, have decided to build a house together. This is after being in a 3-hour drive long distance relationship for 4 years, so we basically spend like 2 or 3 weekends a month, and talk on phone everyday. We will be meeting in the middle of the 3-hour drive. Both having to commute to work. I’ve been ready to get married again for the second time. Him on the other hand wanted to not be forced into it, since we both had been divorced before. Once we get into the new house we’re building he’s telling me to trust him that it won’t be long after until it happens. He is good to me when it comes to adding me as a authentic user on his credit card to build my credit up. We even opened a savings account together, which we are using toward the house and after we are in it. I have to admit I am a little nervous because since my divorce it’s scary trying to trust 100%…but I’ve got to have faith, right?? Jolley Answer: You’re ready to commit and get married and he’s not? We’re sorry to say this but, you should be very nervous! Long distance relationships are challenging at best. We give tips for those not yet married to help you choose the right one. Read the special section, “For Those Not Yet Married” at the end of our book, Make Love, Make Money and Make It Last!, then go through the exercise. You’ll get clarity as to what to do. Question: Is a marriage of 46 years with cheating, trust and intimacy issues worth continuing to try to save? Jolley Answer: The answer is Yes, your marriage is still worth saving! It requires open and honest conversation to deal with each of these challenges. On page 40 of our book, Make Love, Make Money, Make It Last!, there is a story of a couple with similar issues that turned out wonderfully! For media inquires, relationship questions or to leave a book testimonial, please fill out the contact form below.